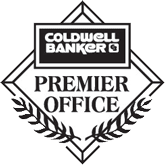 Have you worked with or are you currently working with a Coldwell Banker Neumann Sales Representative on a real estate transaction? We’d like to hear from you ! Please take 4-5minutes to complete our Customer Experience Survey to be entered into a draw to DINNER FOR TWO at a local Guelph restaurant. Drop in anytime and discuss real estate opportunities – we have agents on duty on all hours of operation! Let us know what's on your mind in the form below. Unless the Leafs have won or it's a national holiday, we will respond within 1 business day. Where do you prefer we contact you?